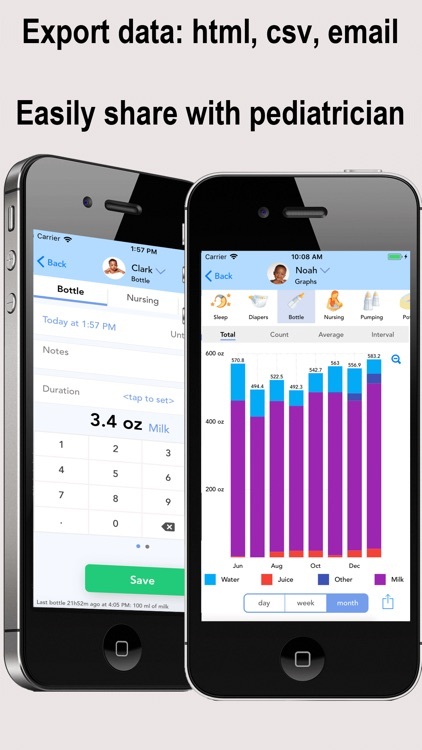 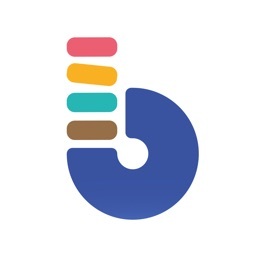 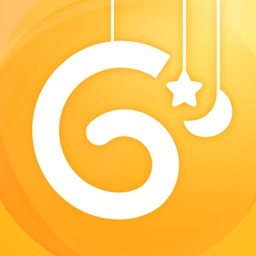 Picked by Apple as a featured App for Busy Moms, Baby Connect is the #1 and the most comprehensive baby tracking application on the AppStore. 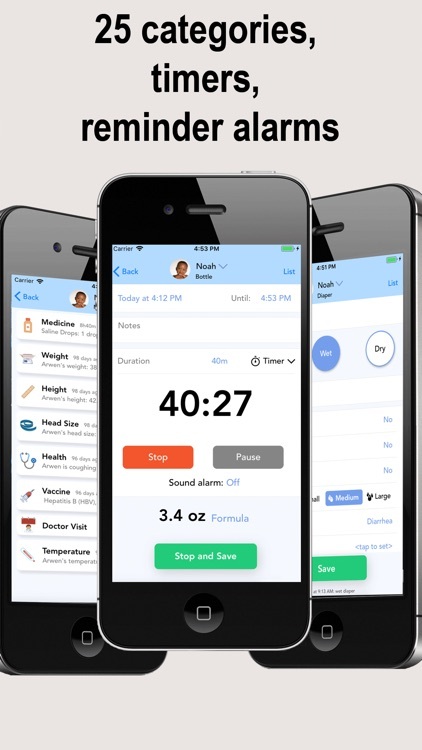 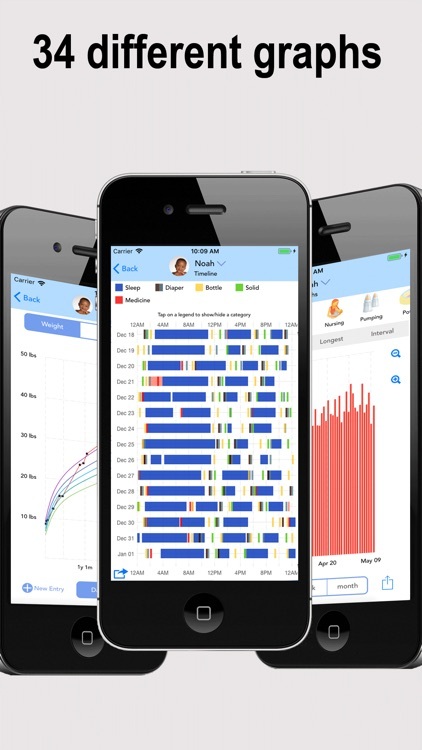 It has graphical reports and trending charts, weekly averages, medicine, vaccine and growth tracking, timers, notifications, reminder alarms, emails, night mode, Siri shortcuts, an easy to use interface and unlimited data. 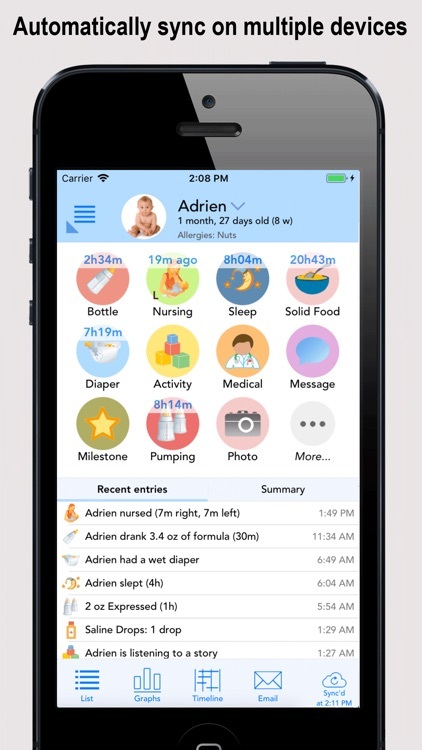 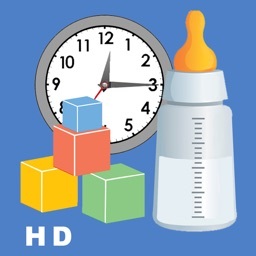 You can record not only feedings, nursing, naps, diapers, milestones, pumping, but also the baby’s mood, temperature, what kind of game he’s playing, and attach pictures. 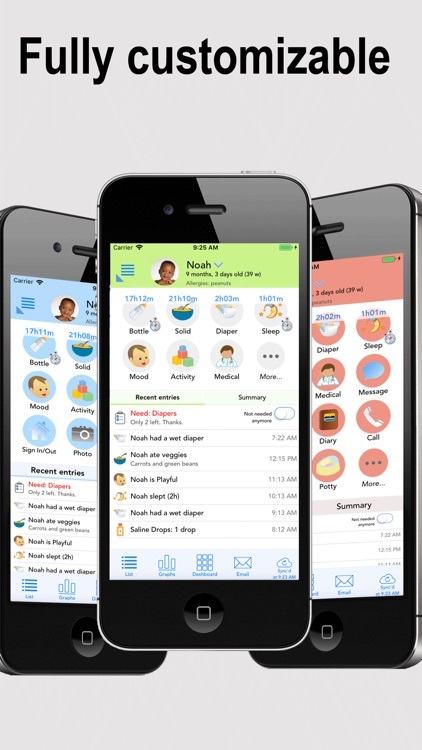 A web interface is also accessible for free, so your nanny doesn't need an iPhone to view and enter information. 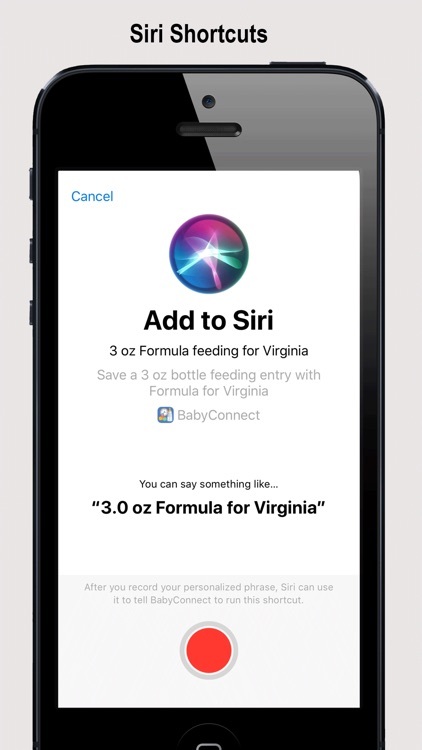 With Baby Connect, you have access to the updates from the caregiver while you're away. 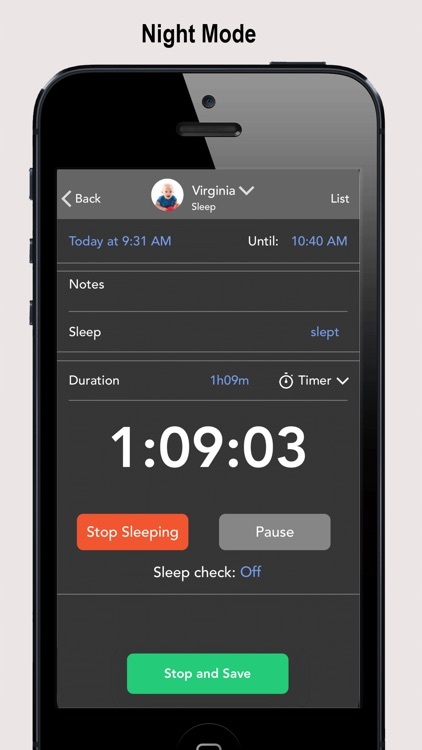 You can also setup notifications to be immediately informed when something happens, and set a reminder alarm to be notified when it's time for the next event. Your baby will receive much better care thanks to all the detailed information automatically transmitted to each family member, and to the nanny.